Using the correct size bed is crucial, whether you’re using a typical mattress or an air bed. There are a few different ways you can determine the best size for your needs, including how much space you’re working with, how many people will sleep on it, and more. Do you need a new camping bed or blow-up mattress for your spare room? Are you looking to replace your mattress with an affordable, customizable option? If so, then this article will help you. Before getting into details about air mattress sizes, though, let’s take a look at the pros and cons of using this kind of bed. If you’ve given serious thought to purchasing an inflatable mattress, you probably want to know whether the investment is really worth it. In order to find out, you’ll need to weigh the benefits and drawbacks to this mattress type. Cost Efficiency: Ordinary mattresses are expensive and life doesn’t always allow for huge investments. One of the major benefits that come with purchasing an air mattress is affordability. Finding an airbed for under $100 should be no problem at all, especially if you shop online. If you’re after a more permanent mattress that you’ll use in your master bedroom, however, you may need to spend more. Firmness Options: If you decide to use an air bed as your main mattress, you’ll probably appreciate that you can customize the firmness level. Just add air if you want a firmer bed and let air out for a softer surface. This option is a benefit for having guests over, too, since everyone has different preferences for the feel of their mattress. Less Sagging: With traditional mattresses, sagging can happen over time, as the materials wear out. If you’ve ever slept on a mattress that feels more like a hammock than a bed and pulls you to the center constantly, you already know that it’s not a nice feeling. With air mattresses, on the other hand, all you need to do to fix sagging is inflate it with more air. Versatility: Airbeds can be used both inside and outside, especially if you buy a smaller one. If you have a small enough air mattress (or a large enough tent), they can be taken on camping trips, set up in a guest room or living room, or used in your master bedroom. Noise: Depending on the type of air mattress you select, it might make a fair amount of noise when you move around at night. 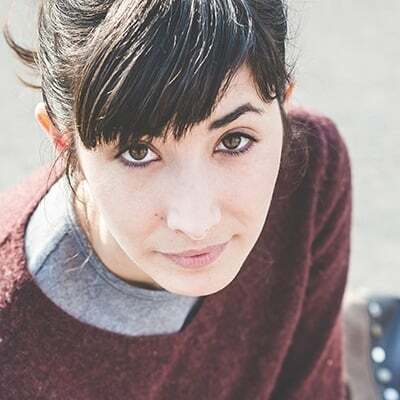 This could be an issue, depending on whether you sleep alone and how much of a light sleeper you are. In addition, the air pumps that come with these beds can make a fair amount of noise, but shouldn’t cause too much disturbance, since you won’t have to use it often. Assembly: If you get a fixed usage air mattress rather than a simpler portable option, it might take up to an hour to get it set up. However, this is just a one-time job and, once you have it assembled, it should be fairly low-maintenance. 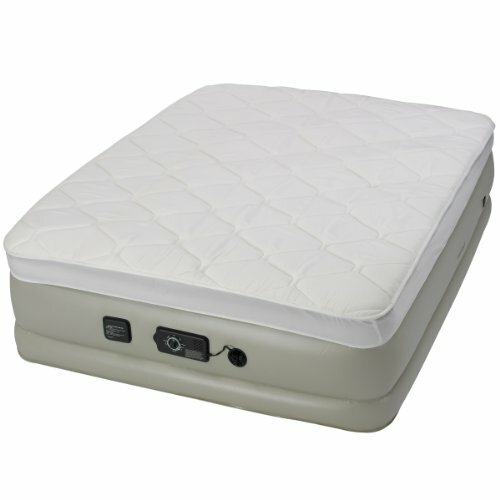 Other air beds inflate very quickly, so this all depends on the type you choose. Location: Where you plan to use your bed will determine the size you should get, since you may be working with limited space. Whether only one person will sleep on it, or more, will also play a role in what size you should opt for. The Pump: You’ll need a way to inflate your mattress, one way or another. Some airbeds come with a hand pump, while others will have the pump built into the bed or a separate apparatus that attaches to the mattress to blow it up. While most air mattresses come with this included, it’s worth double-checking before you buy. Weight Capacity: Who will be using the air mattress and how much weight can it accommodate? If you’ll be having guests over that are fairly heavy set, you may want to choose a bed that works for this. You’ll also want to think about the height of the person or people who plan to use the bed, to make sure the air mattress is long enough. For people who only need a bed that fits one person at a time, a Twin air mattress is a good option. This size comes with the benefit of saving space and can be used in an RV, tent, or your home. This is the bed size most commonly used for children. A Twin will measure approximately 39 by 75 inches, while the height varies widely according to the model you select. If saving space and money is your main concern and you’re a single person who doesn’t have to share the bed, a Twin size is your best bet. A Full-size air mattress is one step up in size from the Twin and works better for single people who move around a lot in their sleep. A Full air mattress measures 54 by 74 inches and fits into a small room. This size will work for a single child or adult and can also potentially accommodate two people at a time, depending on their size and comfort preference. A Queen air mattress is a good idea if you have a partner you need to share your bed with or if you plan to accommodate more than one guest at a time. A Queen will be 60 by 80 inches in size, while the height will vary depending on the model and brand you select. If you plan to use your air mattress indoors, for the most part, this should be a good option for you, although some tents may be large enough to fit a bed of this size. Just make sure you measure the spaces you plan to use the mattress in before you select this size. While King size air mattresses aren’t as common as the other sizes we covered above, they do exist. There’s the ordinary King size, which measures about 76 by 80 inches, and a California King, which measures around 72 by 84 inches. The California King is a little less wide and a few inches longer, which means it’s more accommodating for tall people. A King bed is ideal for people who need to accommodate larger guests, need a bed for their master bedroom to share with their partner, and mostly plan to use their air mattress inside. If you have a small child and you want to get them an air mattress for their crib, you’ll be working with a bed that’s about 27 by 52 inches. Like ordinary mattresses, air mattresses come in a wide variety of prices and quality levels. Before you buy an inflatable bed, you should know that there isn’t a single option that will fit every person. For that reason, you’ll need to know exactly what you’re looking for so you don’t get overwhelmed by the sea of options on the market. One reliable way to figure out whether a specific brand or model air mattress will work for you is to read customer reviews and see what people are saying about it. Don’t only look at the stars, but also check to see what people liked and disliked about the particular mattress you’re considering. Check out our roundup of the best air mattresses on the market, today. This is one of the biggest benefits of online shopping, so be sure to take advantage of the fact that this information is out there. How much are you willing to spend on a new air mattress? How many people need to sleep on the bed at one time? Will the air mattress be used indoors, outdoors, or both? What’s the ideal height for your new inflatable mattress? 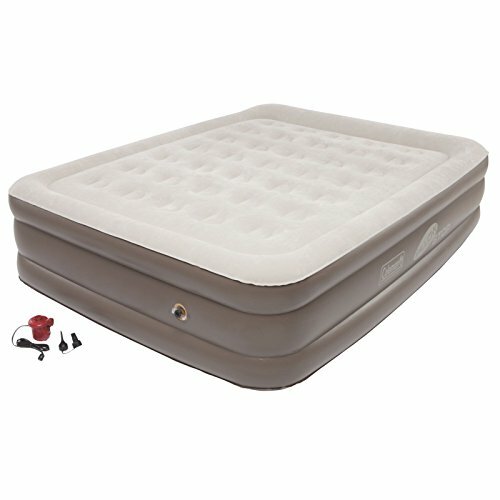 How much weight does the air mattress need to be able to handle? Would you rather have an electric, manual, or battery-operated pump? 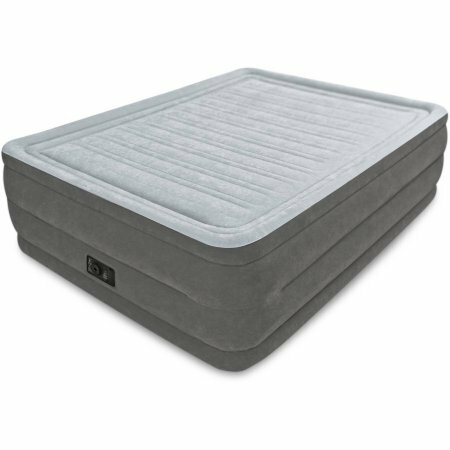 Is it more important that the air mattress is heavy-duty and sturdy, or would you rather have a lightweight model? Is an external or internal pump be more convenient for you? 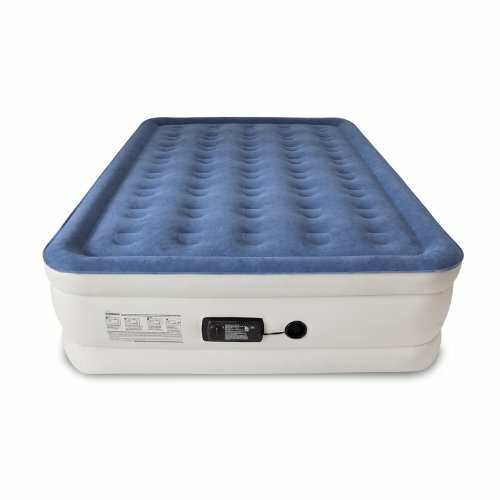 Do you have a good place to store the air mattress when you aren’t using it? Does the bed need to be ready to use or will you be purchasing some extras, like a mattress topper? 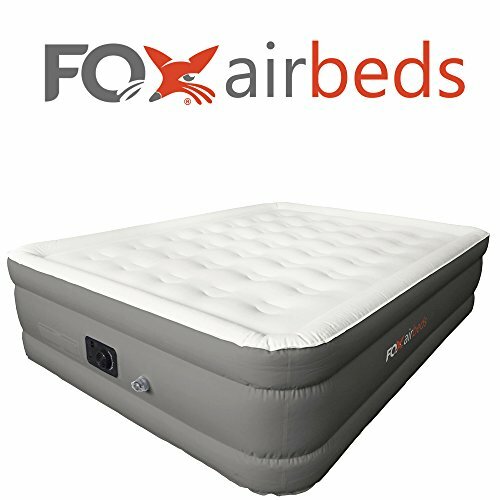 An air mattress comes with the benefit of having customizable firmness, being more portable than other beds, and maintaining its shape over time. When you understand the options that are out there and how they fit into your expectations and preferences, you’ll be able to find the right air mattress size and model for you. PrevPrevious2019 King vs Queen Bed Guide: Which Size is Best for your Needs?